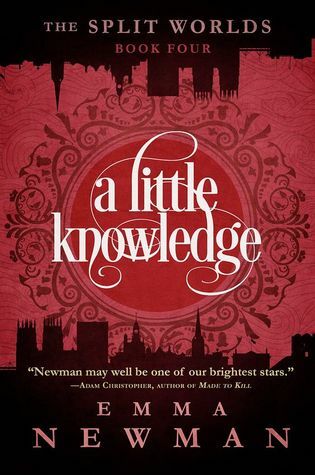 A Little Knowledge" is the long-awaited return to Emma Newman's popular Split Worlds series in which dynastic families feud across the ages, furthering the agendas of their supernatural patrons. Innocents are protected by monsters and the beautiful ones are not what they seem. The Split Worlds is an urban fantasy setting with a dash of noir, fantastical magic, evil faeries, and people just trying to drink their tea in peace. It's been a while since I've read a book involving faeries, and I forgot how much I enjoyed it. Newman has built an extraordinary world starring Mundanes (humans), Fae, and the world of Exilium. The setting is a mix of contemporary and Victorian era.The heroine is a plucky Fae-touched woman, who is bent on bringing the Londinium into the 21st-century. And the plot is simply amazing. Though I try to keep all my reviews spoiler free, this is the fourth book in the series, so there will be some. Continue reading at your own risk. Cathy and Will are the new Duke and Duchess of Londinium. 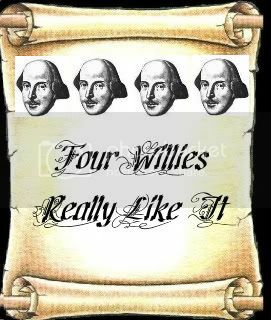 Will is happy to be in such a prestigious position. He wants desperately to prove himself. Cathy, on the other hand, has other ideas. She plans to use her influence to start a political movement giving the women in Londinium the rights they have been denied for so long. While the Mundanes live in the 21st century, the fae are still living in Victorian times. Women don't even have the right to choose who they marry. Charms are often used to control what a woman can and can't do. However, Cathy makes many enemies along the way. Will, though he loves her and wants to support her ideas, is having a hard time. He's under heavy pressure to "do something" about his wife. Meanwhile Sam is struggling with his new position as Lord Iron and Max is running around trying to figure out who is kidnapping humans. It's really difficult to try to summarize all the happenings in this novel. There's so many intrigues, family feuds, and mysteries that it would spoil the novel if I told you all of them. Emma Newman has really reinvented this genre for me. It's been several years since I've read a book that has enveloped me with it's plot. I'm pretty sure there's some Fae magic woven into each page. I found myself wanting the next book immediately. But alas, it doesn't come out until 2017. In the meantime, Newman has a few short stories called Tales From the Split Worlds that I'm going to check out. According to the website, these stories can be listened to before, during, or after reading the books. There's no spoilers for the novels. And while reading the first three books will help you enjoy this novel more, it's not necessary.